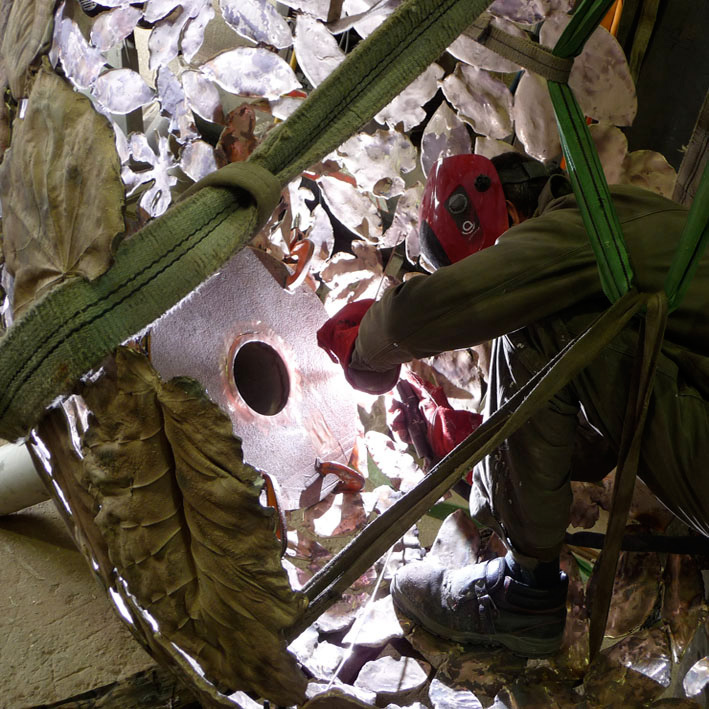 Large sculptures are fabricated from any number of cast pieces, depending on the size and complexity of the work. In addition we offer a full “art engineering” service producing sculptures fabricated directly in sheet and stock metals from drawings and designs or incorperated into cast works. From your sketches, we can also produce CAD drawings for lasercutting. Large fabrication projects are undertaken in our recently opened 13,000 sq ft workshop in the centre of Liverpool. We also work closely with artists providing space, equipment and technical assistence if you wish to work more directly yourself. In house we provide structural works, fixings, fabricated bases and plinths. Over the years we have developed a network of specialists from material suppliers and polishers to hi tech engineers and paint finishers enabaling us to fabricate works with the care and attention to detail you would expect from one the UK leading art foundries.